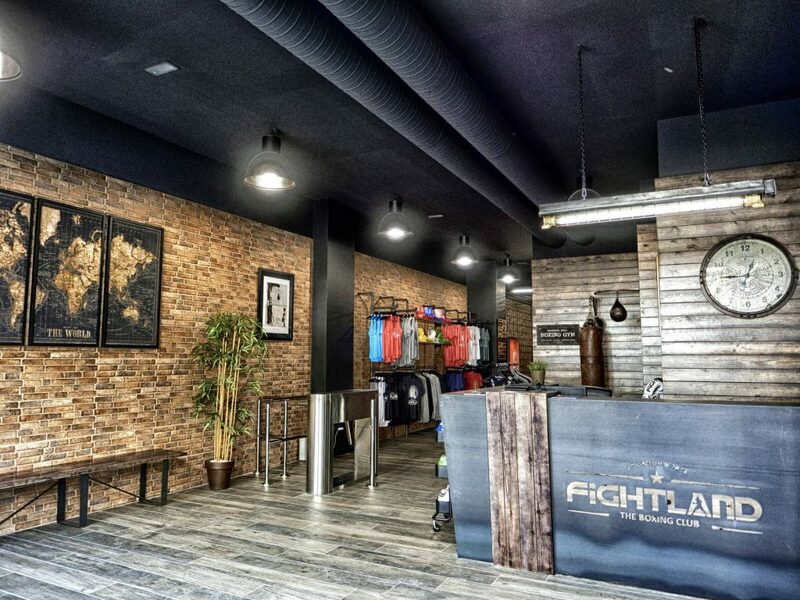 FIGHTLAND is a gym, not a fashion show. Bring comfortable and breathable clothes, that allow you to move with total freedom. Keep in mind that if you don’t finish the class completely soaked it’s because we’ve done something wrong, so you must bring a small towel to have close-by during the training session. It is important to wear proper footwear, although you don’t have to wear traditional boxing boots. Any trainers will do, but preferably ones with soles that aren’t too rigid. You don’t need a mouth guard; no one is going to hit you in the mouth. Neither do you need a jump rope, head gear or protection of any other kind. You should never hit the punching bag without protecting your hands and wrists. By wrapping them you will avoid any injuries that, despite hardly ever being serious, can be annoying and take a while to disappear. The first day we’ll teach you how to wrap your hands like a real boxer. There are rigid hand wraps on the market, but they don’t provide appropriate protection and, then there are hand wraps that are too elastic which cause discomfort and hinder blood circulation. With the FIGHTLAND semi-elastic hand wraps, in 3 and 4 m and in several colours, we assure you maximum protection with the best suited length, elasticity and Velcro closure. These are essential for training and it is important they are good quality. There is very little price difference between a pair of good leather gloves, which can provide good protection for years to come, and cheaper gloves made with artificial leather or plastic material. These will last less, with crack, become smelly… it’s not worth it. If you already have boxing gloves, definitely bring them; if not, let us advise you before you buy a pair. You must keep in mind that not all gloves are the same, as they should be chosen based on their use (sparring, fights, punching the bag…), as there are significant differences between boxing gloves and those used for other disciplines, such as Muay Thai or Kick Boxing. And now, those of you who have strength and courage in your heart, take a step forwark, put on your gloves and raise your arms” (Virgil, The Aeneid). At FIGHTLAND we have developed some excellent price-quality ratio gloves, specifically designed for training with the heavy bag. Their Velcro closure make for putting them on quickly and easily, and they are made of top-quality leather, which ensures their durability. 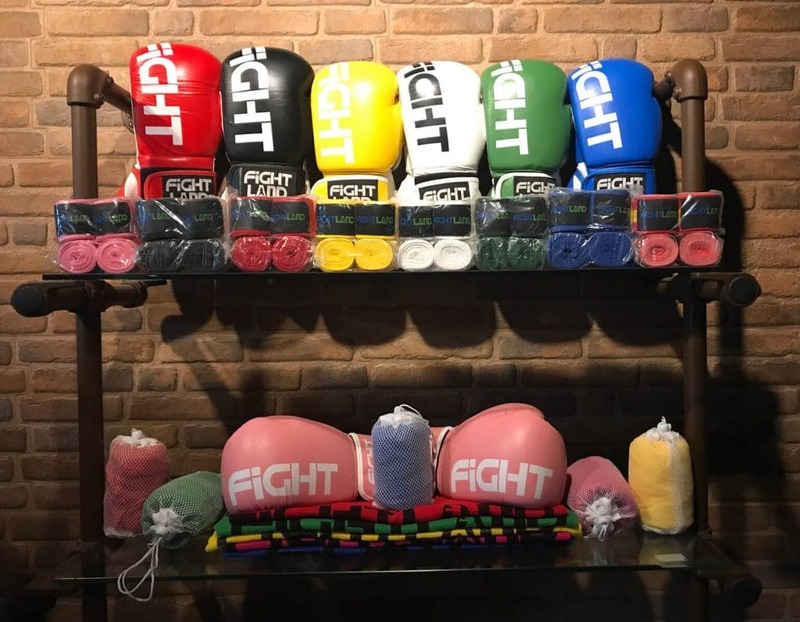 At our centres you can purchase hand wraps and boxing gloves of exceptional quality, at a much more competitive price than in any sports store or online website.